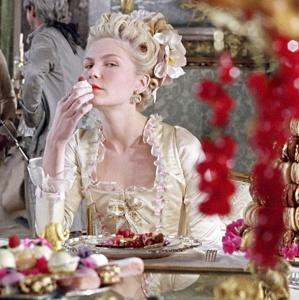 The “Let them eat cake” celebration by House Republicans marking today’s passage of yet another bill to defund healthcare for the uninsured and continuing the sequester is unseemly. The New York Times called their glee “grotesque.” Having just separated millions of people from public housing subsidies, Head Start, and unemployment benefits, and coming as it did on the heels of ending food stamps for almost 4 million people, one might expect a somber tone. Celebrating the sequester… who wudda thunk? Rather comically, the Majority Whip took pains to emphasize, repeatedly, the vote was bipartisan. Perhaps being math challenged is part of the House’s problem. Two of 190 Democrats voted for it. I would call that 99% along party lines, but, hey, that’s just me. Majority Leader Eric Cantor, who pushed yesterday’s food stamps vote, shared the podium. The provisions of that bill would impact those with an average yearly income of $2,500 or less, truly the poorest of the poor. One commenter poignantly wondered what Cantor prayed for on Yom Kippur. Could it have been to take even more away from those at the bottom? The juxtaposition of such harsh treatment of the poor happening the week following the highest Holy Day of the Jewish year, the Day of Atonement, is difficult to reconcile, even for non-Jews like me. The Jewish path to Atonement with God requires t’fillah, teshuvah, and tzedakah. These translate roughly to prayer, repentance for wrongs, and the charity that justice demands. Charity is a particularly bad translation for tzedakah. In many ways, they’re opposites. Charity is optional, at the discretion of the giver, and something to which the recipient is not entitled. Tzedakah is commanded of each and every individual, regardless of wealth, and in the Jewish tradition, recipients are entitled to tzedakah. The Jewish tradition doesn’t try to equalize income or wealth. While it t recognizes vast gulfs between the haves and have-nots, it also recognizes a sense of fairness. Food, clean drinking water, a safe place to sleep and other essentials for survival are things every human is entitled to, for the sake of social justice. Even those who receive tzedakah are required to give it. They may render aid rather than material provision. The Jewish way of engaging with those in need is full of dignity, on all sides. Dignity is what seems to be sorely lacking in the US House of Representatives this week, but today especially. While it may be tempting to describe our elected representatives as clowns this week, the consequences of their clownery is costing real people real lives. Who represents them? Join the conversation. Why do so many Americans participate in the anti-healthcare, anti-poor rhetoric?